Several chagnes to the General Operating Procedures have been suggested by DYHA members or Board members. These changes are being posted for membership consideration and will be voted on by the Board following a 30 day email notice to members. The changes with full notation can be found here. Verbiage changes to accurately, consistently, and respectfully address the DYHA-HS Board that began operating with its own President this past season. Clarified player move-up, late-joining, and cutting procedures. Modified and clarified Discipline process including limitations, formal notification and summaries, document management, and recognition for DYHA-HS to self-discipline if so desired. Addition of a locker room monitoring policy. These changes will be discussed at the next board meeting on May 14, 2019. 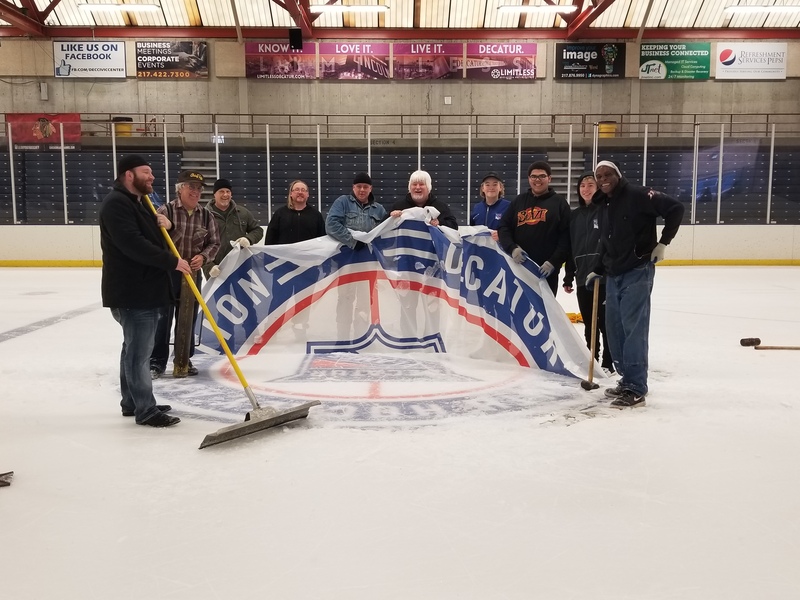 The annual DYHA membership meeting is scheduled for May 14th. The meeting will be held at 5:30pm at the decatur civic center. This meeting is an opportunity for members to vote on by-laws changes, review our general operating procedures and elect people to fill open board seats. Three board seats will be up for election this year. Those intersted in runnings must complete this application (PDF) and return it to no later than 1 week before elections. 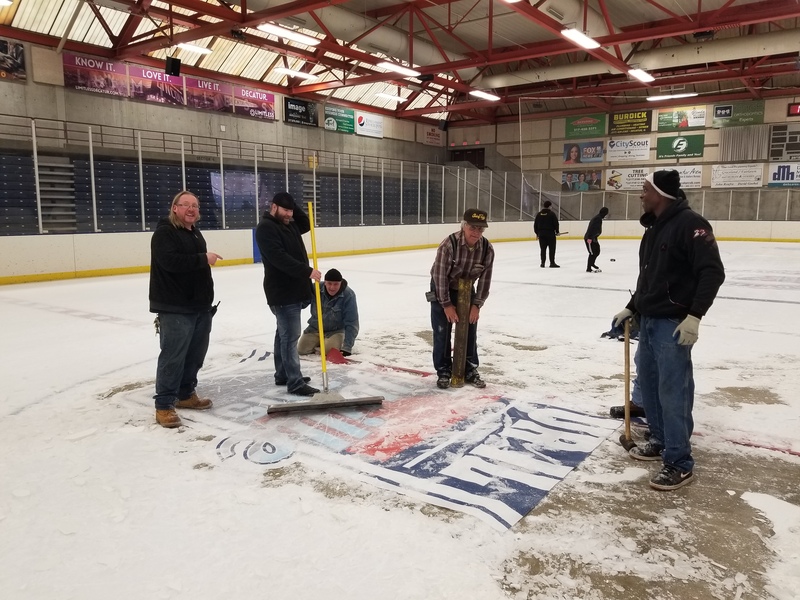 Thank you to the volunteers who helped remove the DYHA and Blaze logos from the ice! Pictured, L to R: Zac Pearson (DYHA Blaze owner), Mark Birch (DYHA Board), unknown, Gritts (Civic Center), unknown, Frank Earl (DYHA Board), Jack Sekosky (Flames 14U), Treyton Gharst (Combined Flames), Hunter Sekosky (Flames 12U), Steven (Civic Center).